Today is a holiday: I have no work and no obligations. 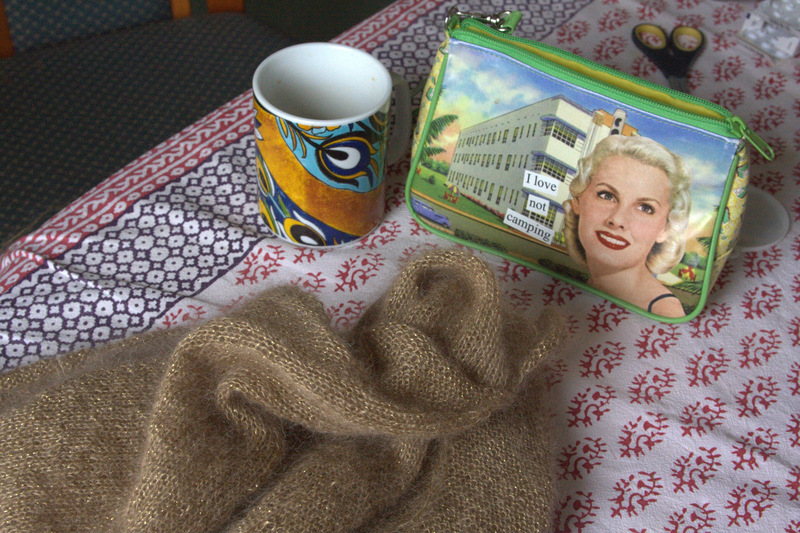 I woke up late, poured myself a coffee, and sat down at the table to seam my sweater. 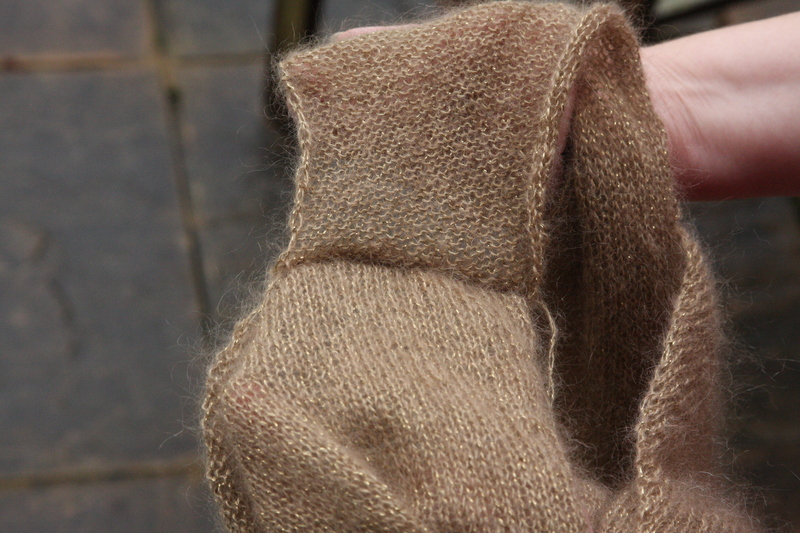 When I started out knitting, all of my sweaters were knit in piecework and seamed. It wasn’t until about ten years ago that I knit a sweater in one piece. Of the last ten sweaters I have knit, however, nine have been seamless! But seaming a sweater is like riding a bicycle, no? Behold my first seam. I have sewn the back of one piece to the front of the other! Perhaps I should have just seamed this in the dark; I couldn’t have done worse. Doug says that I should keep it this way and call it a design feature. Not a bad idea, but I think I’ll get back up on the bike and try again. Stay tuned for developments. and I am in the process of knitting a seamless sweater and swearing the entire while! will blog about it when I’m finished and cannot wait to get back to my seamed projects. Your sweater is beautiful! Hope you were able to sort it out. I love the color and it looks soo soft and inviting! Guess we have all lovingly done that. Spent too much time sewing a perfect seam, only to discover it has been done wrong and then trying to unpick …. Not fun! My sympathies!! It happens to all of us. The last time, I did it wrong twice in a row! Good lukc in undoing the kidsilk. It will be beautifull when done.